From 1st December 2012 to 31st December 2012, we are introducing an attractive package for members only! This is an all new technology to Detoxify and Sterilize and Deodorize your car's interior! All of this is done using Meguair's best polishing products. It is a common misunderstanding that the shine and gloss from polishing your car will only last for a short period of time. This is the common effect that is attained if you use the average polishing products. With MEGUAIR's 5 Step Polish plus minimal care you will notice that the shine and gloss of your car will last up to ONE YEAR. So, do not fret that if you polish your car now, the shine wont last till Chinese New Year! For more information regarding this package, please do not hesitate to contact We One Auto Station at +607-3314309 / +6012-7185569 ! Members are not allowed to exchange their member points for Sealant and Wax. Points exchange for car wash is still available. We one auto station have recently done 6pcs orange cars sticker for V summer place project advertising. We regret to inform you that starting August, every Wednesday will be our official "OFF DAY." We would like to reward our hardworking staffs with a well deserved break on this day. However, please do try to visit our shops on other days of the week. Be assured that we will be back to provide you with better services! We One Auto Station and our staffs greatly appreciate your kind understanding on this matter. 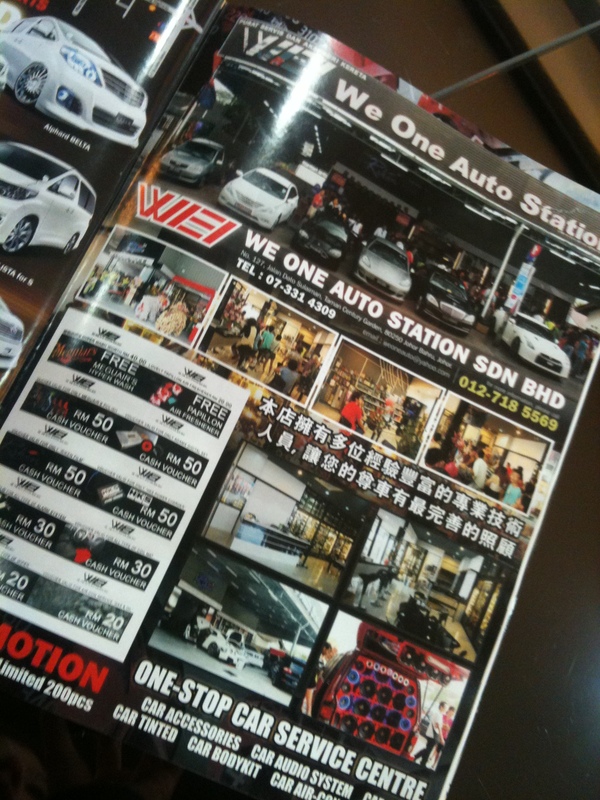 Join We One Auto Station member to get member weekly offer + member benefit + free car wash, wax and sealant! !